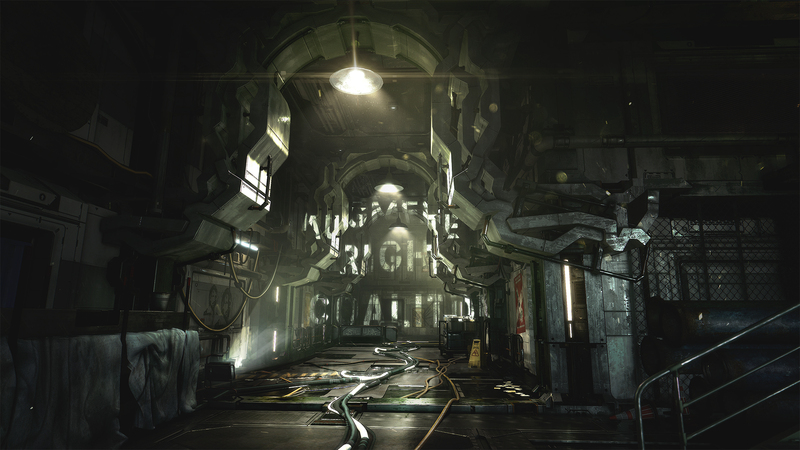 Developed by Eidos Montreal. Published by Square Enix. Available on PlayStation 4 (reviewed), Xbox One, and PC. Releases on August 23, 2016. Review code provided by publisher. This was, without question, the most controversial pair of words to come out of E3 2015, where the theme of Deus Ex: Mankind Divided was laid out. The use of the word "apartheid" to describe the events of the game, particularly since race itself was not to be the focus, became a hotly-debated topic, from social media to think pieces on some of the top gaming websites - and some not-so-gaming websites. The discussion itself is worth having (all discussions are), although perhaps people would have gotten farther with the discussion had they waited for the game to release first. However, after spending hours upon hours in the Mankind Divided world - after being called a "clank" as I walked the streets of Prague, after having to use a separate entrance to board the metro, after being harassed by the police, and after hearing news segment after news segment demonizing augmented humans - I can safely say that no word better describes the setting or events of this game than "apartheid." It's an uncomfortable word, but that's not a bad thing. 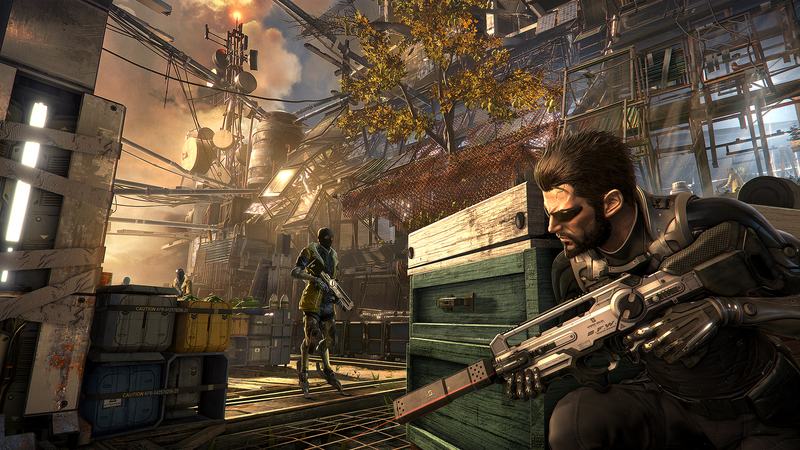 Deus Ex: Mankind Divided, the much anticipated sequel-to-a-prequel, is set two years after the events of Human Revolution and the "aug incident" where mechanically augmented humans became uncontrollably, lethally violent, killing and injuring millions of people. 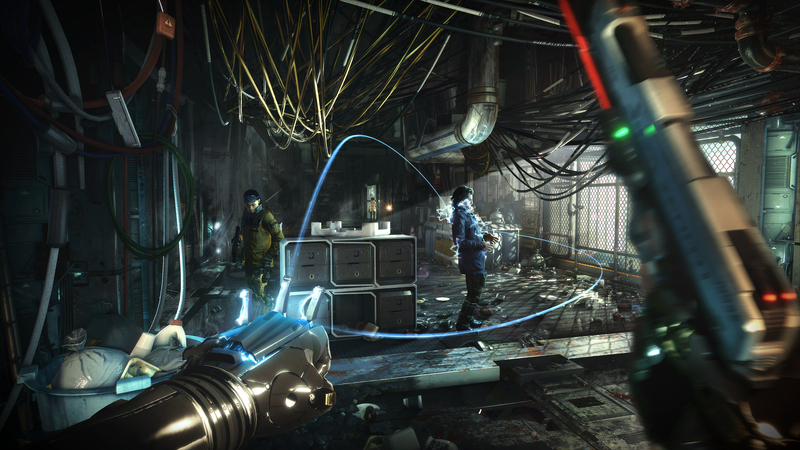 The impact of those events are felt in the dystopian wonderland that serves as Mankind Divided's playground. Augmented individuals move throughout a world that restricts, fears, targets, and separates them from the rest of society, but never once tells you how to feel about these issues. The narrative is impressive in its maturity, asking difficult questions that never appear to have a "right" answer. It's a game that treats its players like the adults that they are, reserving judgement while offering an outlet for quiet (or loud) reflection. Once more, I assumed the role of Adam Jensen, former private security officer turned Interpol agent, tasked with the mission of taking down a terrorist cell of augmented humans while secretly moonlighting with an anti-Illuminati group. This is a world where conspiracies are far more than theories, and Jensen is tasked with the neverending decision of who to trust and what to believe. A series of events play out that lead to the revelation that Jensen has a number of secret, dormant, totally badass augmentations in his body. This results in a "reset" of his system, giving me the ability to build Jensen's abilities from scratch, perfectly tailoring him to the way I, the player, want to play the game. But be warned: it's quite simple to upgrade yourself into a corner. Stealthy players will benefit handsomely from strength upgrades - too many times I found myself cockily sneaking through vents, thinking about how simple it was to evade the threats scattered throughout the building, only to have my path at the end obscured by an object far too heavy to move. 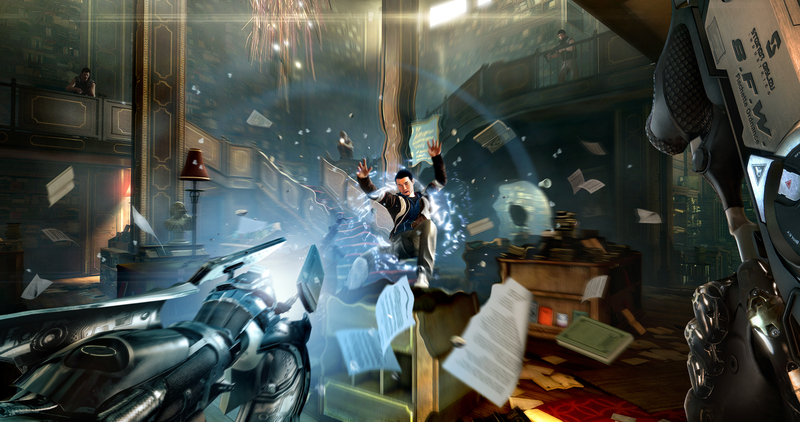 It's clear that Eidos, and the game itself, want you to be a versatile player, choosing augmentations that both compliment and counter your chosen style of play. As is so often the case with Deus Ex titles, you cannot discuss the plot without touching on the most integral gameplay mechanic - choice. Every decision I made, whether it was which path to follow, what missions to complete, or even how to respond to a certain individual, changed the makeup of the story. At one point I became so wrapped up in the main story I neglected a single side mission, thinking that the worst that would happen would be that the party in question would be upset with me. Without giving away any spoilers, that was far from the case. Failing to complete the mission had drastic consequences that came to light so much later that loading an old save would have been near-insanity. I was forced to live with the consequences of the series of choices that led to that moment. But I'll tell you what - I didn't miss another damn side mission after that. 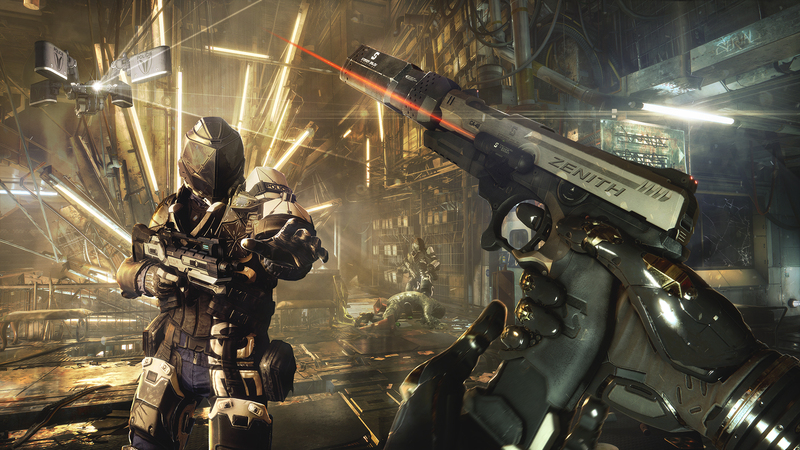 Violence and nonviolence are equally valid combat options in Mankind Divided. While there will be a notable reaction to what you do - from causing civilian panic because you fired off shots in the middle of a bank to having an enemy revived and reveal your existence because you chose not to kill him - the world responds to your actions. 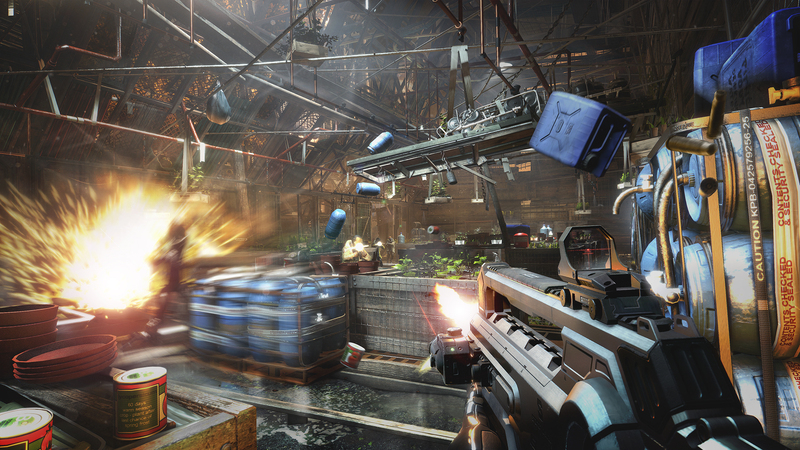 Quiet, non-lethal takedowns and frenzied shootouts feel equally fluid, both of which come with a unique set of challenges and rewards. The game, however, never punishes you for choosing one option over the other. 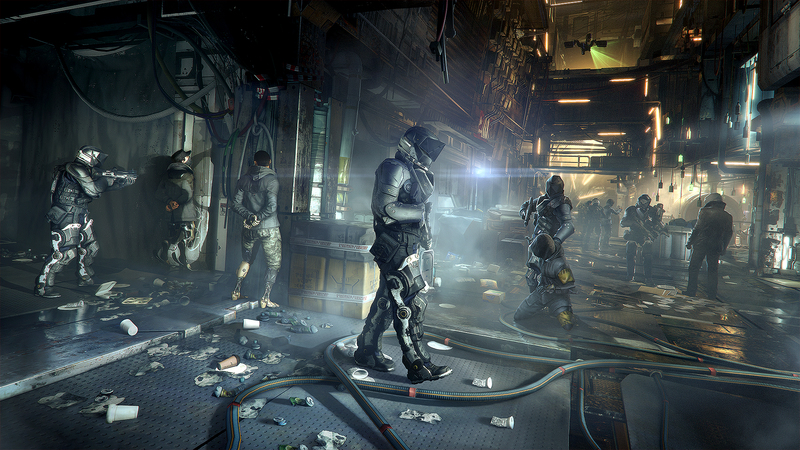 Mankind Divided, like its predecessors, is not about right and wrong, good and evil. Rather it's about the varying shades of grey that make up its world, holding up a mirror to our own in a way that only video games can. That, in large part, led to a satisfyingly tense experience where I evaluated, debated, and questioned every decision I made, even long after the game itself was complete. 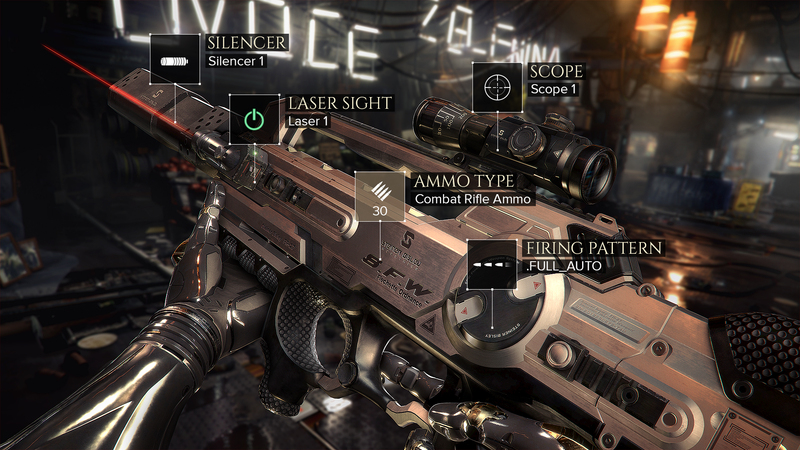 For a playthrough closer to pacifism, there are various options available for both stealth and hacking. Suspense runs through the game's veins, but this is where it truly buzzes to life. Hacking into a security system allows you to turn off turrets and robots - or, of course, you can enable friendly fire, and let them take out your human enemies for you. Tunnels and vents are infused into the environment, while augmentations let you do things like turn temporarily invisible, remote hack, jump ridiculously high, and more. Each obstacle you face has a bevy of options, so you never feel forced into playing a particular way. The game's strengths far outweigh its weaknesses, but that doesn't mean it has none. A character's voice rarely synced correctly with their mouth movements, which can be frustrating for a game that is as immersive as this one. In addition, occasional graphical hiccups peppered the environment, becoming more than a minor annoyance during moments when I had only a moment or two to react to being spotted. Aside from that, however, the game is surprisingly sharp. My biggest complaint is that the ending feels a bit abrupt - I would have sworn I had a few hours remaining when I saw the credits rolling, especially considering I had one big question that was not answered. 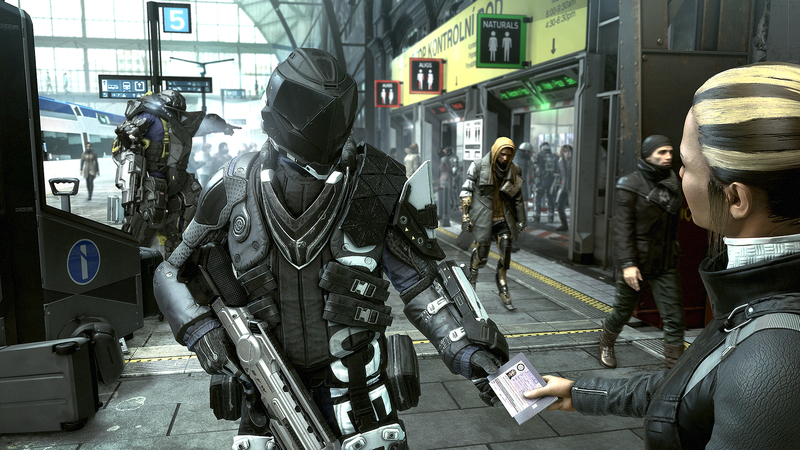 Deus Ex: Mankind Divided is a mature game, tackling mature themes in a way that leads a player to reflection without explicitly demanding it of them. It not only carries the torch of a choice-driven narrative that has become synonymous with the franchise, it seems to relight it. It's a game that treats the player like an adult, while breathing a new life into the argument that video games are a form of art. 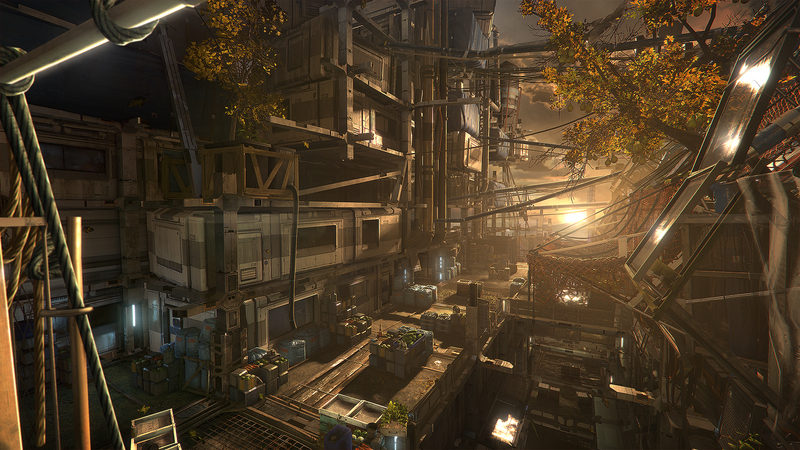 Mankind Divided is a stunning, intense experience that at no time failed to challenge me, mentally or skillfully. Both choices and method of progression carried a weight that forced me to evaluate the game as more than a series of button presses that lead to an inevitable finale. I didn't feel like I was playing a game that was built for me, rather I built the world that I faced at the end, and I had to live with that. 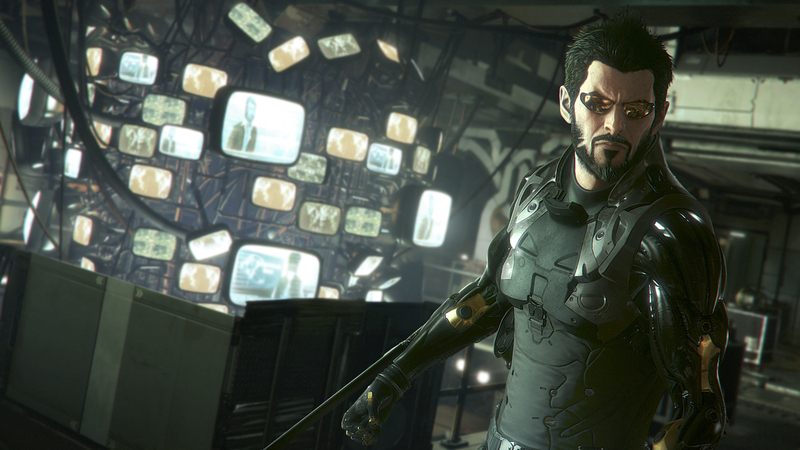 Bottom Line: Deus Ex: Mankind Divided is a thrilling, suspenseful game that holds a mirror up to our own world without losing track of its own. Action, puzzles, a fantastical setting, and a compelling story merge together in a world where conspiracies are real, you can't trust the media, and a razor thin line separates your allies from your enemies. 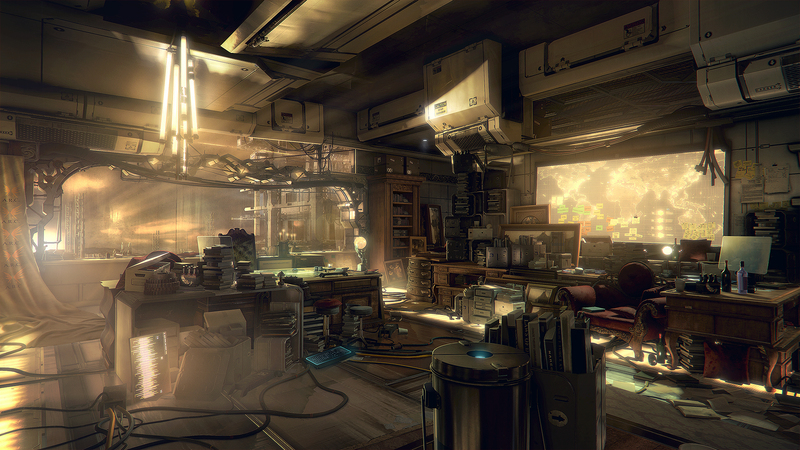 Recommendation: Deus Ex: Mankind Divided has a little bit of something for everyone. 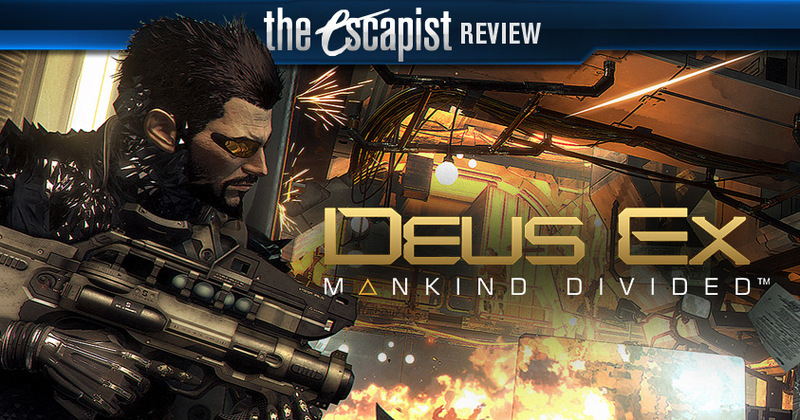 It's a must-have, must-play masterpiece, marred only by a somewhat unfulfilling finale. The industry feels a little bit better now that this game is a part of it.